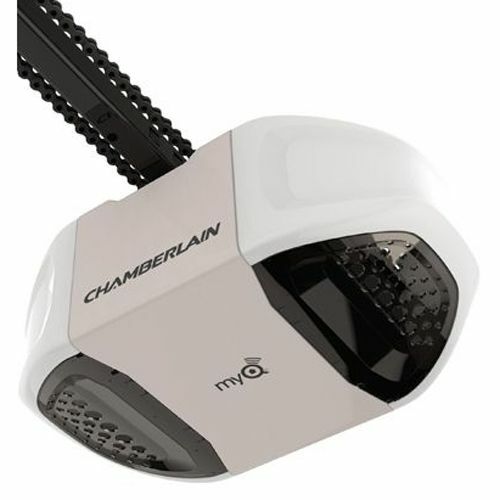 Most garage door openers use an efficient electric motor attached to the ceiling of your garage. This motor is attached to a bracket on the actual garage door by the use of a bicycle type slotted chain. The garage door remote sends a radio signal to the motor, telling it to either move the chain to pull the door up, or allow the door to go down. As with all mechanical devices, moving parts are the ones that have a tendency to malfunction due to use. 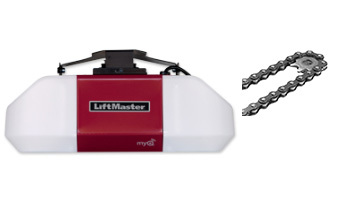 Over time, it is possible that the chain on your garage door opener may begin to droop or sag. If this happens, it may cause the chain to slip out if its sprocket, rendering your garage door opener useless. Over time and with use, the chain on an automatic garage door opener can begin to loosen. As the door is raised and lowered, the connections on the chain tend to expand. When the chain becomes loose enough it will hang and can become tangled causing your door to stop. It can also slip out of its sprocket and become disconnected from the motor or the door. On most systems which use a chain, there is an adjustment bolt that attaches the chain to the bracket at the top of the door. This is a threaded bolt with an eyelet attached to the end of the chain, and it will have a nut on either side of the bracket hole. To adjust the chain, you simply loosen the nut closest to the motor and then tighten the nut closest to the door. This will pull the loose chain toward the door and tighten it. If by any chance you have run out of adjustment room (you have tightened the adjustment bolt as far as it will go), it is possible to remove links in the chain. It is also possible to get a half link to allow you replace a full link and adjust the chain. 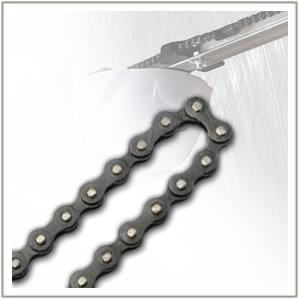 Before you test the garage door, make sure the chain is properly threaded through the mechanism sprockets. Then test the door to make certain that the door is opening and closing properly. Make sure you are away from the mechanism before you test it. 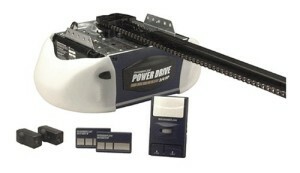 If this does not fix the problem, you may consider replacing your chain garage door opener with a new unit. It's possible the chain is not the only thing wrong with your door.